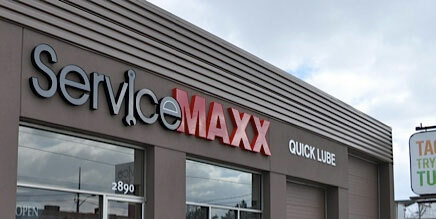 Two ServiceMaxx Locations To Serve You Better! When you have auto maintenance performed at ServiceMAXX, we'll also provide you with a written report showing the results of our ServiceMAXX Courtesy Check a multi-point visual inspection of your car's major systems under the hood and under the car, as well as a tire check. This visual inspection can help identify upcoming maintenance needs that will keep you off the shoulder and on the road.